At the College of Podiatry Annual Conference 2017 we put bracing therapy front and centre. There, we presented sessions that focused on the Richie Brace range of AFOs and how to cast for this unique and increasingly popular brace. the Richie Brace has an exceptional record of successful conservative treatment. 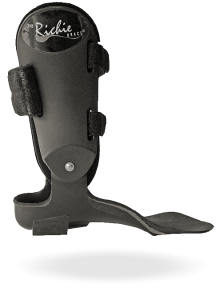 For patients with Dropfoot, the Richie Brace has a history of returning excellent clinical results. 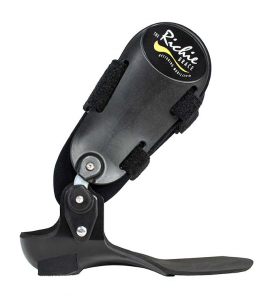 For patients who suffer Dropfoot accompanied with common peroneal nerve injuries, the Richie Brace can be adapted with prescription modifications. Visit the Richie Brace product page to access patient evaluation and treatment documents to aid you in the prescription process. The device is custom made to the patient’s joint access – made to the medial and lateral malleoli of the individual. The brace comes in three versions: standard hinge, fixed hinge and tamarac hinge (dynamic assist). Tamarac Hinge Richie Brace: actively dorsi-flexes the foot in the swing phase, commonly used to treat Dropfoot pathologies. The Richie Brace’s low-profile, light weight design sets it ahead of other traditional longer-leg solid shell ankle foot orthoses. When prescribing from the Richie Brace range of AFOs use the Firefly Richie Brace prescription form, you can request these from Firefly or download a copy from our order form web page page. 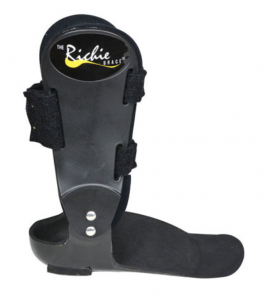 Click or tap the button below to find out how to add the Richie Brace to your clinical offering.